the LACOSTE brand is symbol of relaxed elegance since 1933. Built on its genuine sporting roots, the brand offers a unique and original universe through a wide range of products for men, women and children. The LACOSTE brand has achieved a wholesale turnover of 1.6 billion Euros in 2011 in retailer sales. 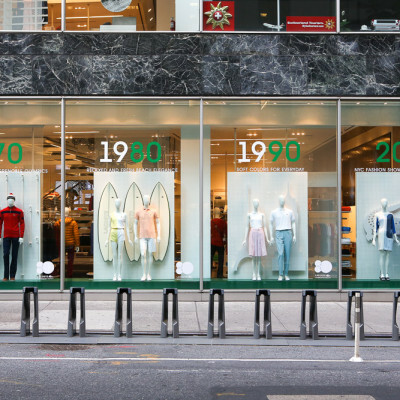 In the 114 countries where the brand is present, two LACOSTE products are sold every second through LACOSTE boutiques, corners in department stores and a selective distribution network. 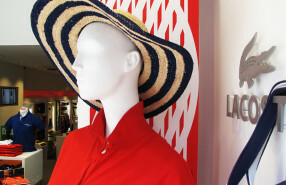 LACOSTE Summer collection is focused on bold colors that you can see trough the window displays.